Looking your best is a full time job. That’s why Brushworx offers the Taylor Madison collection of styling essentials. Their brushes help you create the style you want with less effort and fuss, and their selection of classy compacts and envelope mirrors let you hold that style and keep your make-up perfect wherever your journeys take you. Taylor Madison brushes give you complete control over your style. Perfect for smoothing and detangling your hair, the rubber base of their paddle brush fights frizz and static, giving your hair a lustrous shine. When blow drying your hair, Taylor Madison ceramic brushes hold your hair exactly how you want it and defeat frizziness and dull hair. Now you can have the fabulous style you dreamed of whilst adding volume and attitude to your hair. RY offers paddle and round or vented ceramic brushes. Taylor Madison’s mirrors put the glamour back in looking glamorous. Both their compacts and envelope style mirrors are designed to look elegant and are perfect for any soirée. Together with the genuine Swarovski elements, these mirrors will have you feeling like a trendsetter whether you are sipping cocktails at a high-class function or saving the world from your office. RY helps you impress with Taylor Madison brushes and mirrors. Listen to our Taylor Madison Reviews ”I just wanted to say that these brushes are amazing! My hair usually takes forever to blow dry, but my ceramic brush seems to make it happen so much faster. I haven’t had as much of a problem with my hair being over-dried since I started using it. My hair seems shinier too!” –Katelyn. “I admit it was kind of an impulse buy, but I was tired of my boring plastic compact and decided to get a Taylor Madison one. 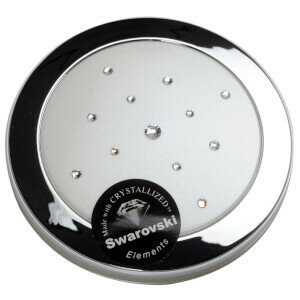 I love the Swarovskis on it, and my friends all think it’s so cute. I threw away my old one as soon as I got it!” –Wanda.